Platinum Finance is a diversified finance business, based on the Gold Coast in Queensland, Australia that was established in 1997. Our philosophy is to create a stress free environment for our clients and equip them with the knowledge and solutions required for financial independence. We pride ourselves on our representatives and support staff having years of experience in helping clients and finding the right finance strategy to suit their individual needs. Our priority is to make our clients happy and put their interests first to obtain successful results. During our 17 years of operation, we have put all efforts into developing and growing our expertise. We are fully licenced and accredited, operating our Australian Credit Licence No. 383124 and hold memberships with the Mortgage & Finance Association of Australia (MFAA), Finance Broking Association of Australia (FBAA) and the Australian Financial Complaints Authority (AFCA). This allows us to operate nationally, with access to hundreds of lenders and product providers, to offer our clients the very best recommendations. Our message to current and potential clients is that talking to us will help you take control of your financial future and reach your goals. Peter McNamara is the Managing Director of Platinum Finance. Peter has been involved in the financial services industry for over 25 years and has a strong understanding of all types of client scenarios. His experience in all areas of finance allows him to provide you with the knowledge and advice for your finance needs. 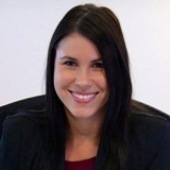 Kelly Harris is our Practice Manager and has extensive experience within the financial services industry. She draws on her years of experience to provide each of our clients with individualised service to suit their needs. She is passionate about providing great customer service to clients and aims to make the process as smooth as possible to ensure a hassle-free experience. To discuss your situation and see how professional finance advice can help you, make an appointment to speak to a Platinum Finance representative today.